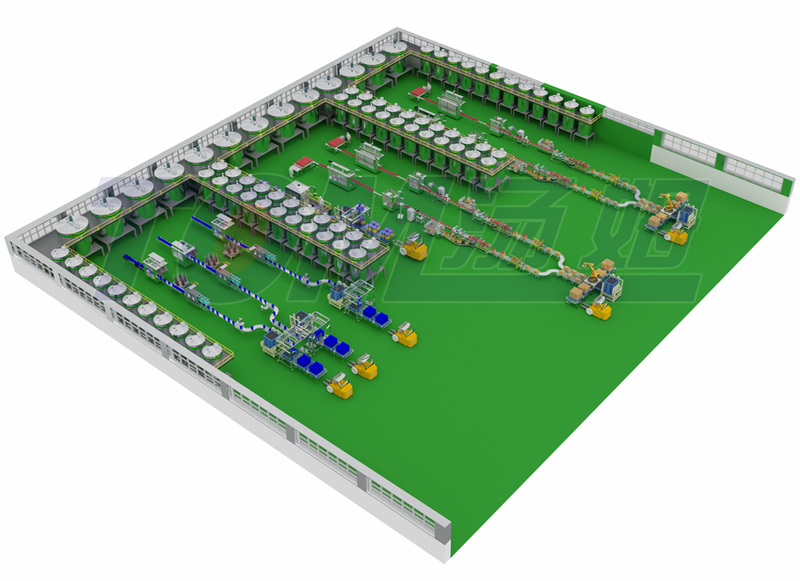 Filling line introduction: this workshop is composed of 8 automatic filling line. `1L-4L lubricants oil filling line (4 lines) , composed of auto bottle feeding platform, auto filler, auto rotary capper, induction sealer, auto printer, auto carton packer, weight checker, auto carton erector, carton sealer and robotic palletizer. The speed is about 260tons/day. 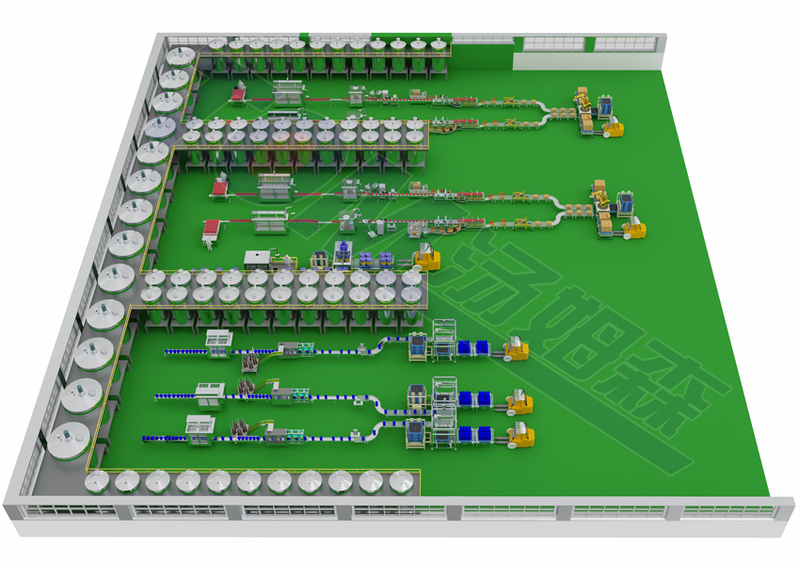 `18L lubricants oil filling line (3 lines), composed of auto weighing filler, auto cap presser, printer, auto palletizer. The speed is about 216 tons/day. `200L lubricants oil filling line (1 line), composed of drum feeding conveyor, automatic double heads weight filler, the capping station adopts manual pneumatic capping type. the speed is about 128 tons/day.